Constantia. South Africa’s oldest Vinelands. Nestled at the foot of mountains with hectares of the finest grapes, sought after dutch architecture and beautiful sunsets. 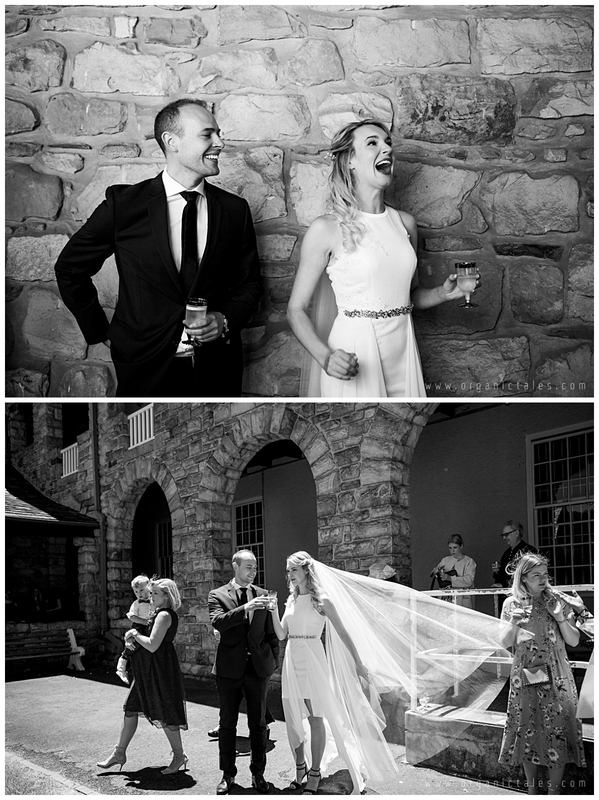 As I first met Anna & James in a hip coffee bar in Cape Town, I simply knew that it was the start to a beautiful friendship. 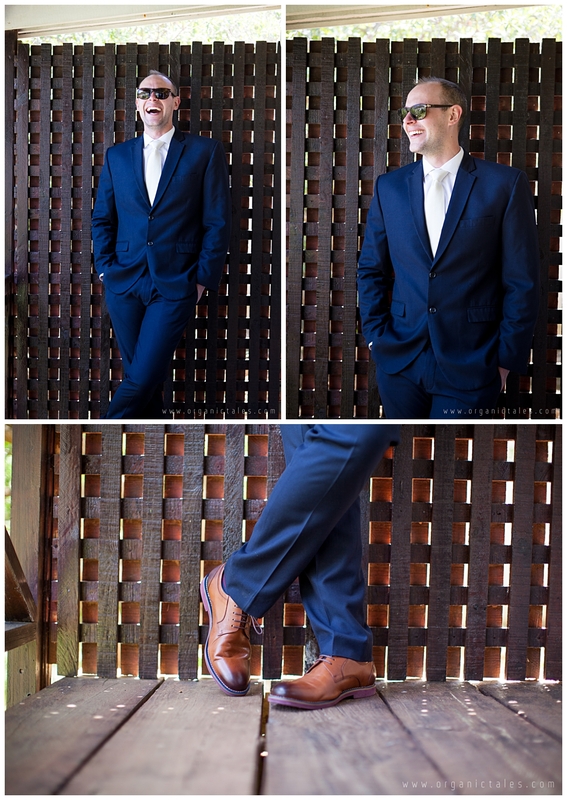 James, (who unmistakably resembles a more handsome version of Prince William) is an easy-going and relaxed chap. While Anna, is a fun, outspoken dame who truly lights up any room she walk in to. Her joyful laughs are dangerously contagious. 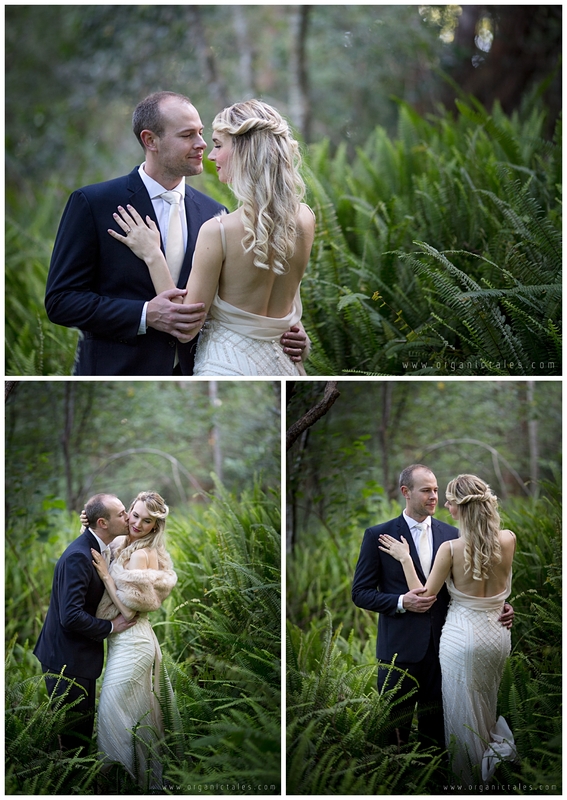 The build-up to this 3 day wedding celebration has been one filled with excitement and very detailed planning. So grab a glass of your best wine while you read their story. 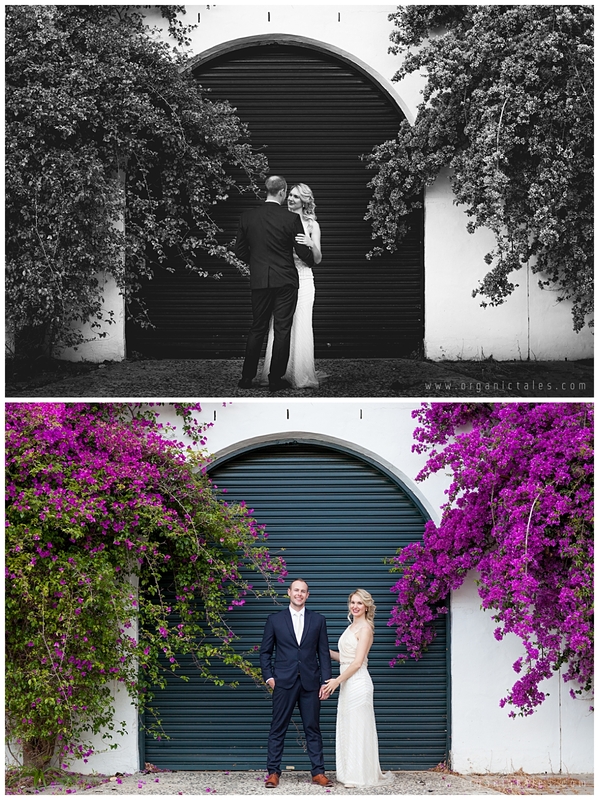 Anna and James met in September 2014. Anna was in South Africa on holiday at the time, visiting her cousin in Johannesburg. While in Johannesburg, Anna and her cousin’s wife came down to Cape Town and while exploring, found this wonderful restaurant in Camps Bay. By sheer co-incidence, James was sitting at the very next table, having just returned to SA from living abroad. At some stage the two tables got talking and by the end of the night, James had Anna’s phone number. The very next day, they went on their first date. By the time Anna returned to Germany, she was in a long distance relationship with this South African boy. For Anna’s birthday present in 2016, James took Anna horseriding on Noordhoek beach. After jumping from the horses and walking up the dunes, James got on one knee and proposed. ‘I always wanted to see you like this’ was Anna’s cheeky answer – and the rest was just a screaming ‘yes’. 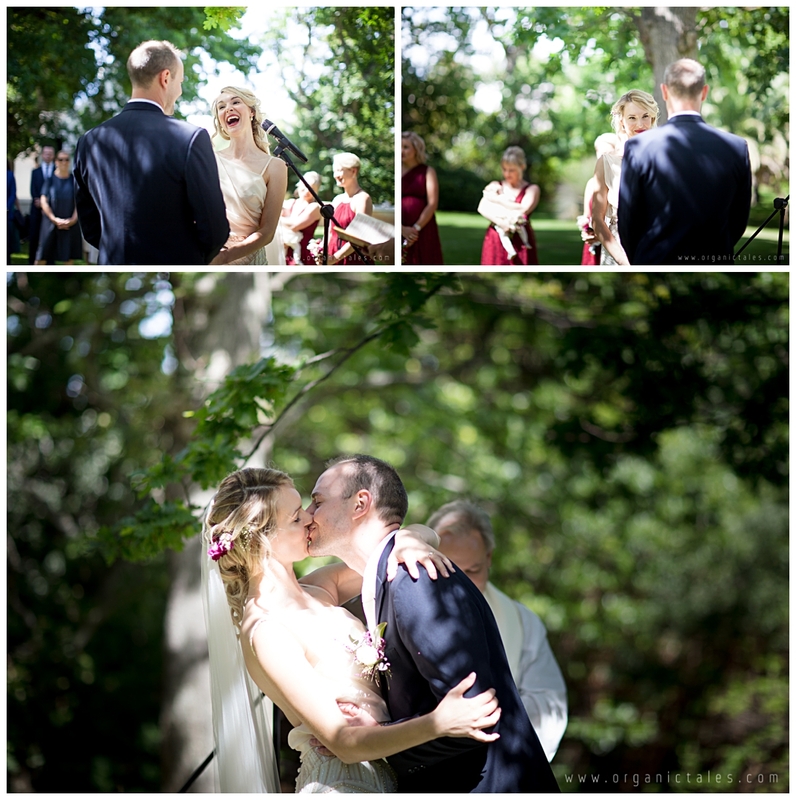 As is typical in the German tradition, we decided to do a small and intimate civil wedding that year. 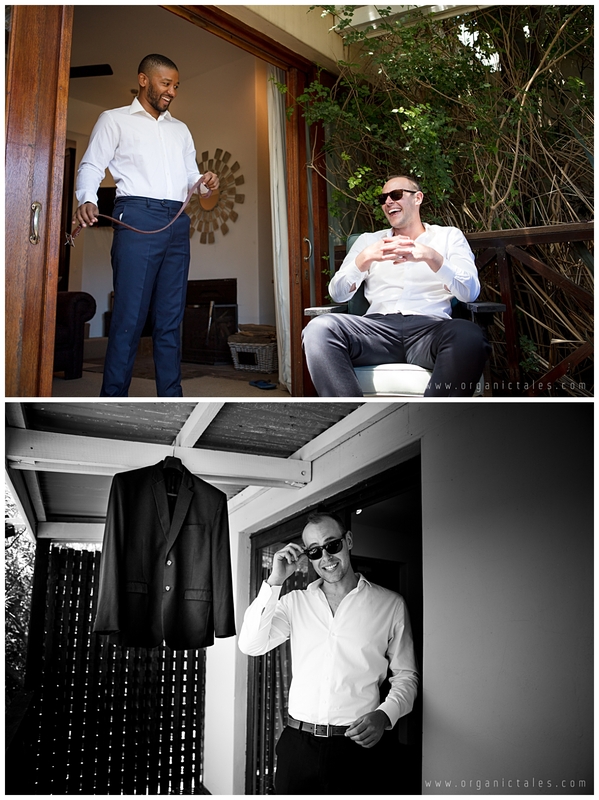 The following year, we planned to have our big wedding, with guests from overseas and family & friends from South Africa. 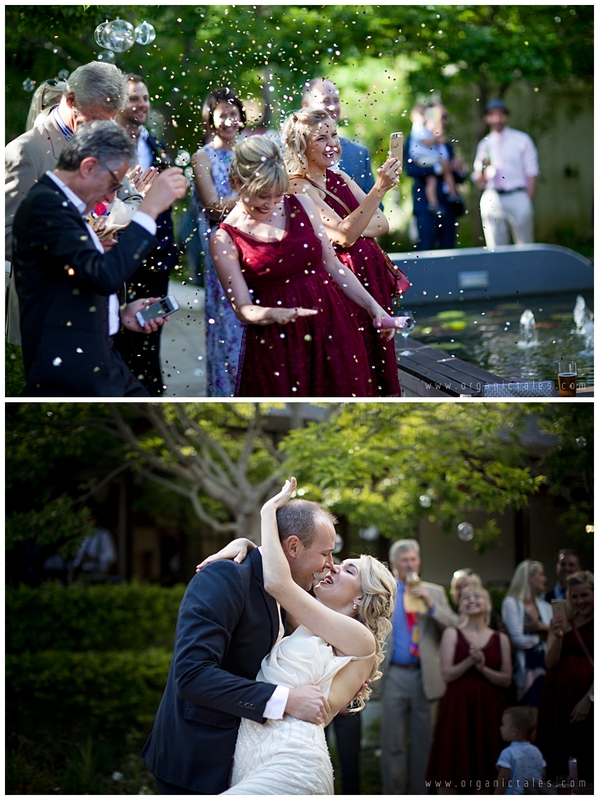 We ended up having THREE wedding ceremonies in total! 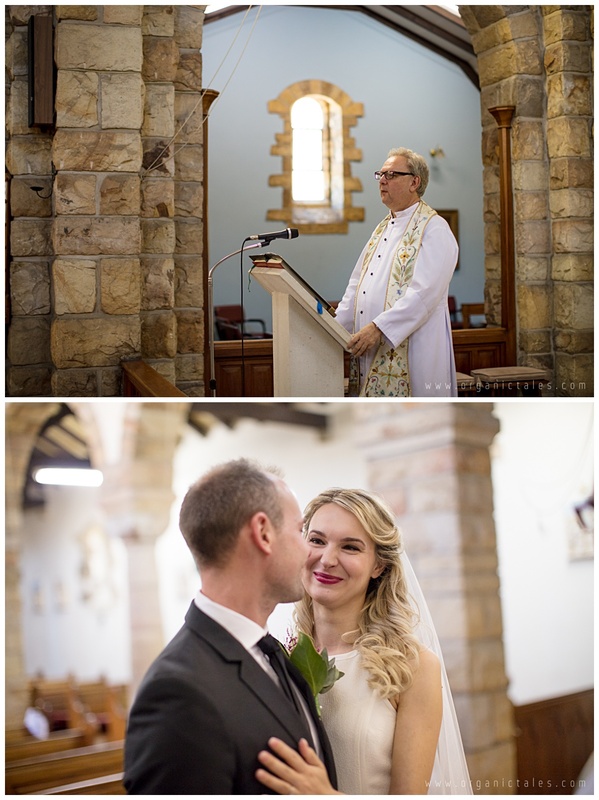 A Priest from Germany who is living in South Africa was officiating our ceremonies. As we split our wedding into two days, we had a German mass in church and an English blessing on the lawns of the day of the reception. We wanted all of our guests to have an emotional connection to the wedding. And because not everybody could speak English, we decided to have a priest who is able to speak both languages. 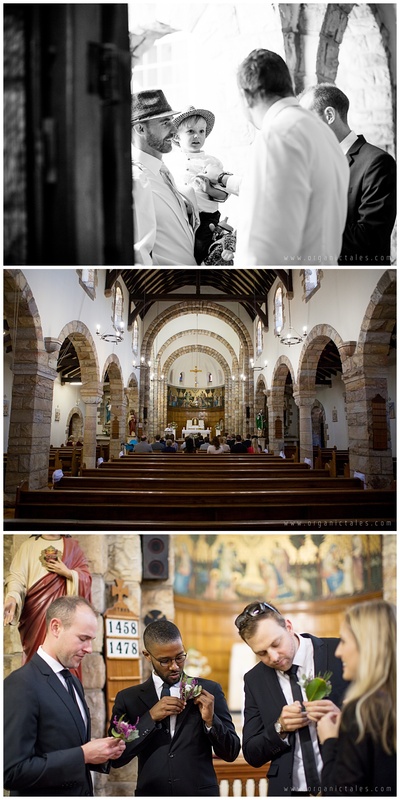 Priest Wim Lindeque was the very first person we found for our wedding program. 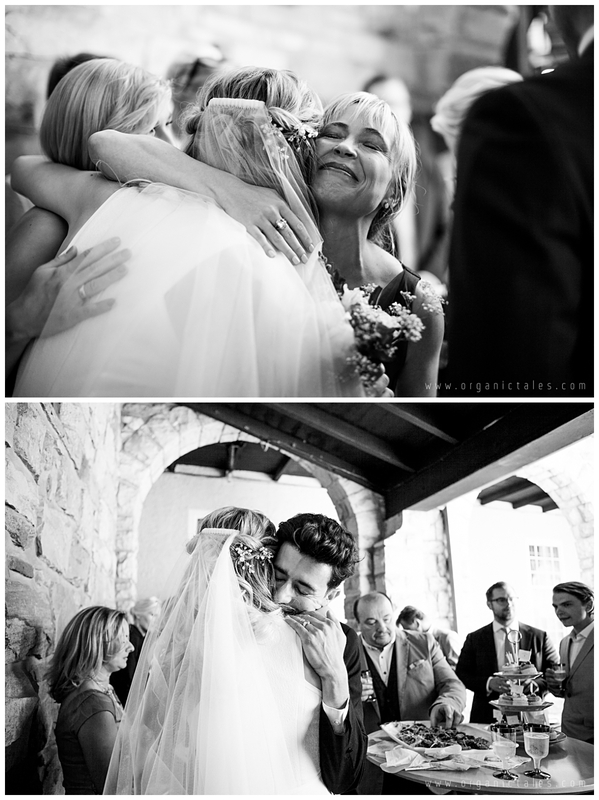 He is the most fantastic human being; he helped us to have very personal and memorable ceremonies. After this, some of our friends chose him as the priest on their wedding. 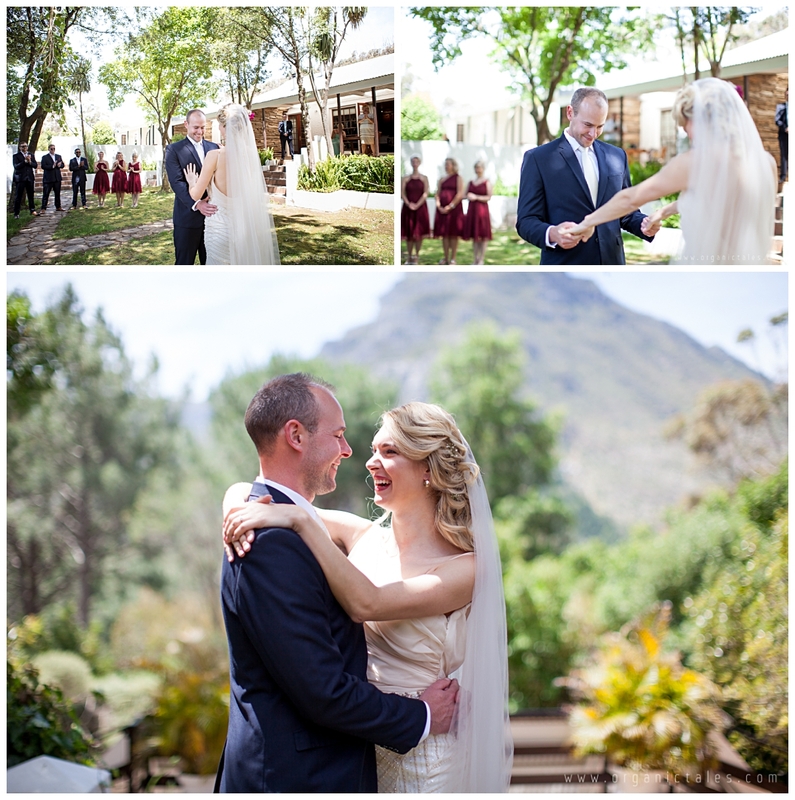 We wanted a wedding which wasn’t too far outside Cape Town as we had many guests flying in from Europe. 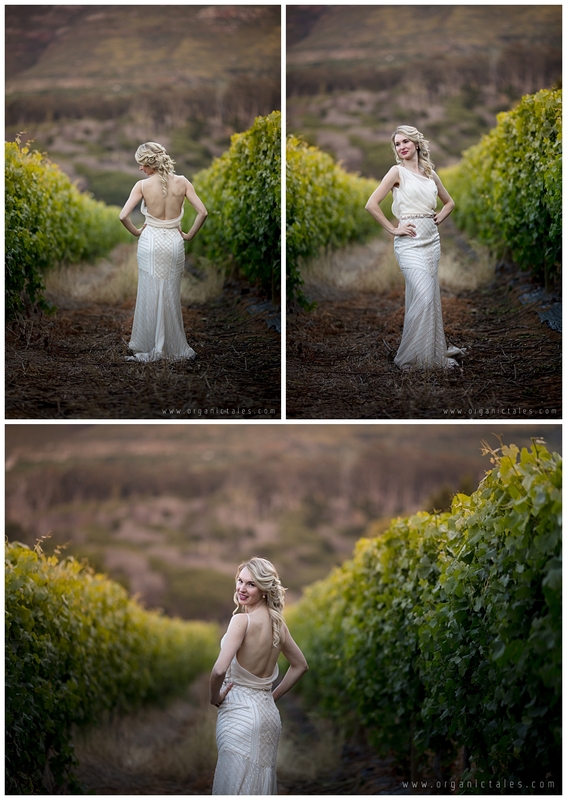 Besides that, we really love the wine farms in Constantia with their stunning natural beauty. 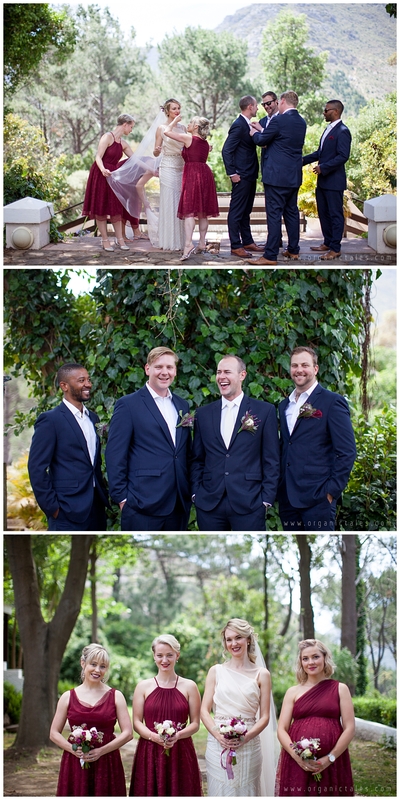 In the end we decided to split the ceremonies into two – The first ceremony being a mass at the Nazareth House Church (with an amazing view over Table Mountain), followed by a lunch at Silvermist, in Constantia Nek with a view over the 12 Apostles. 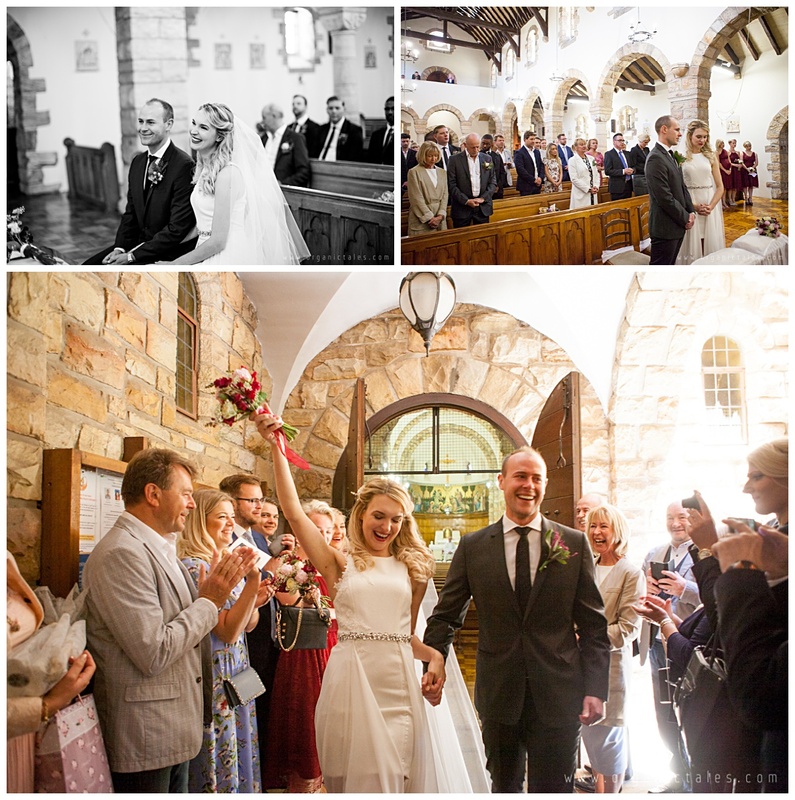 The second blessing and the big reception was to follow on Saturday at Buitenverwachting in Constantia. 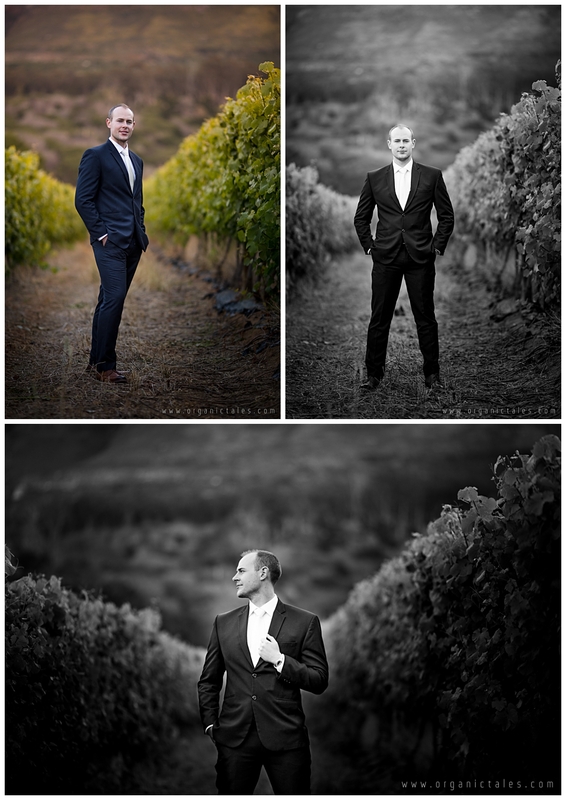 Buitenverwachting is a stunningly beautiful award winning wine farm and is well known for its wine and cuisine. It is run by a German couple and has an incredible team – the service is really outstanding. 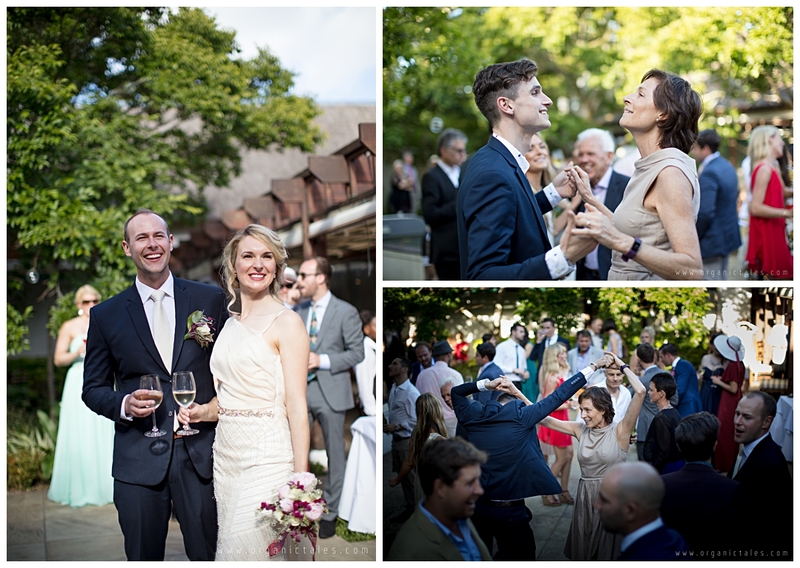 We planned to have our blessing on the beautiful lawns with its really old oak trees and could already start dancing in the courtyard to our band. Further it was just the right size for the number of our guests. The wine farm has been newly renovated and the interior is also beautiful. 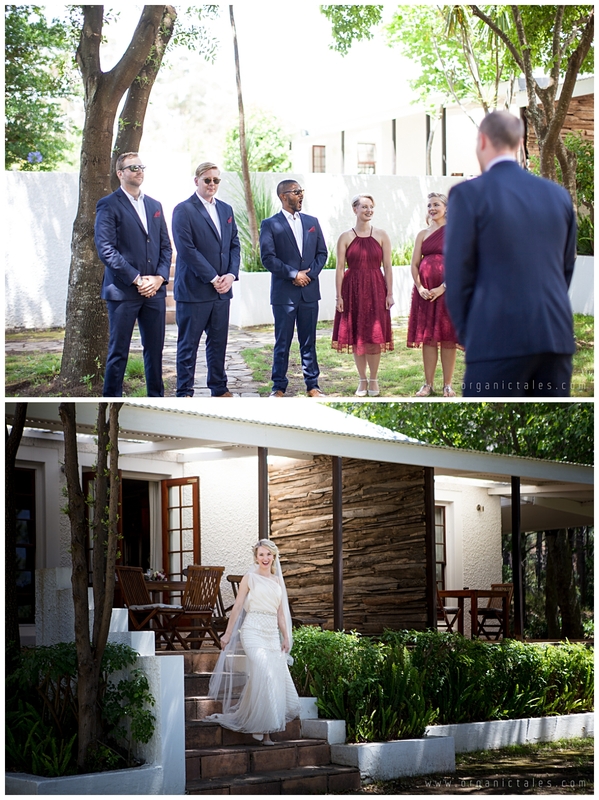 We really liked the idea of not bringing in too much decoration and relying on the natural beauty of our venue; the wine farm really makes a statement on its own. 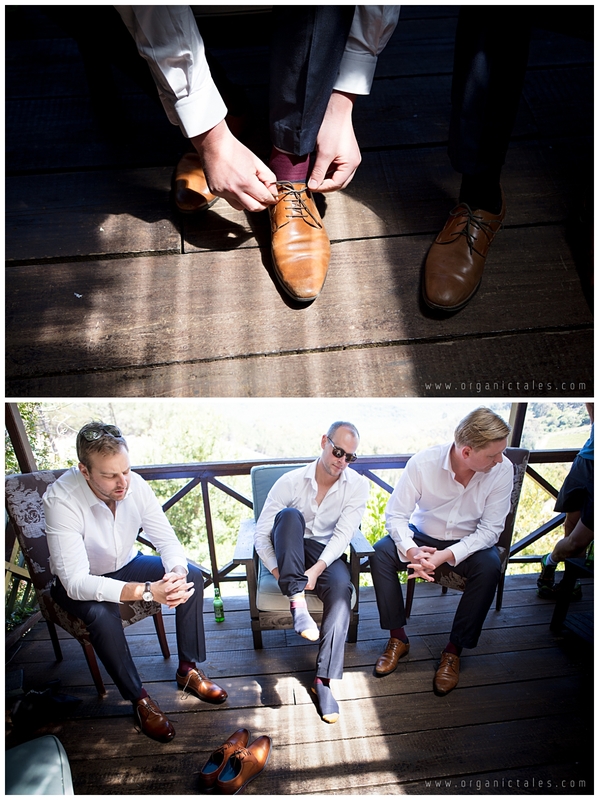 Anna & James decided to do their pre wedding prep at Silvermist Mountain Estate in Constantia. 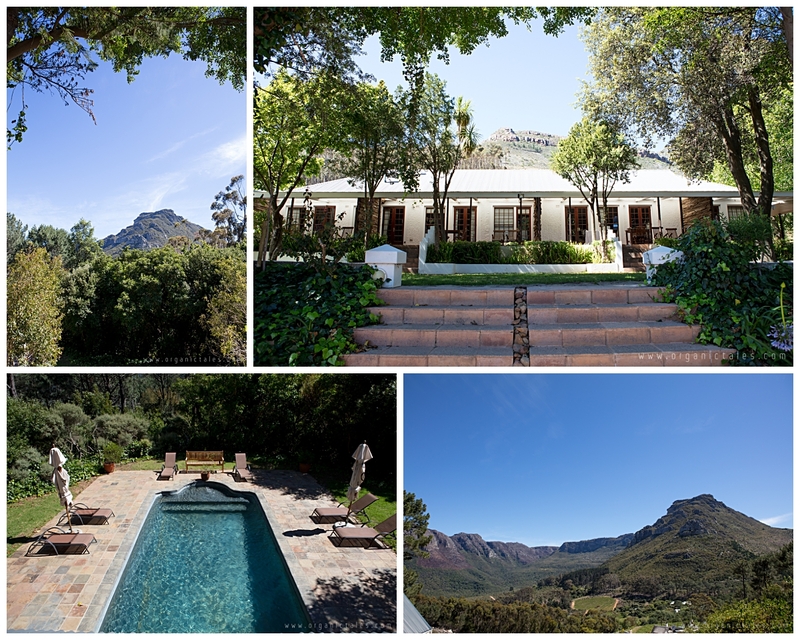 A beautiful mountainous estate overlooking the Apostles. The views were breathtaking and the crisp mountain air added a fresh breeze to the hot day. 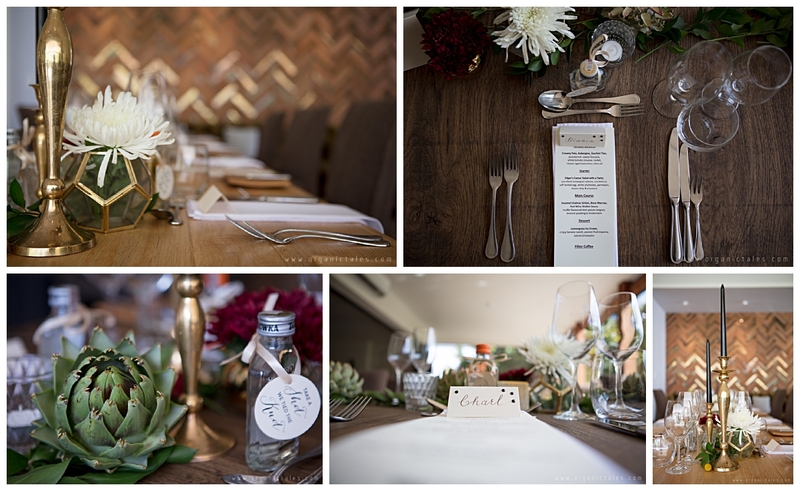 The estate boasts with beautiful wooden featured decor and impeccable wine for the taste buds. 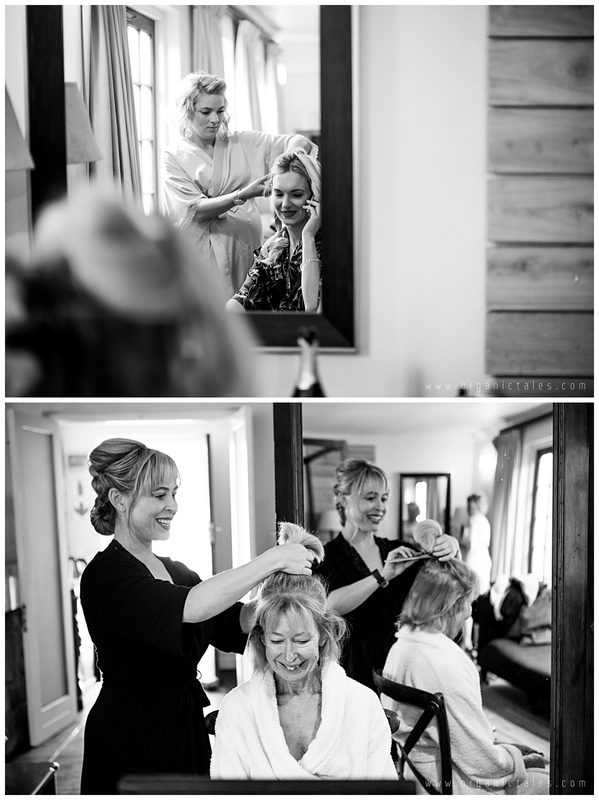 The brides makeup was done by Derdre, the owner of Derdre’s face & body care. 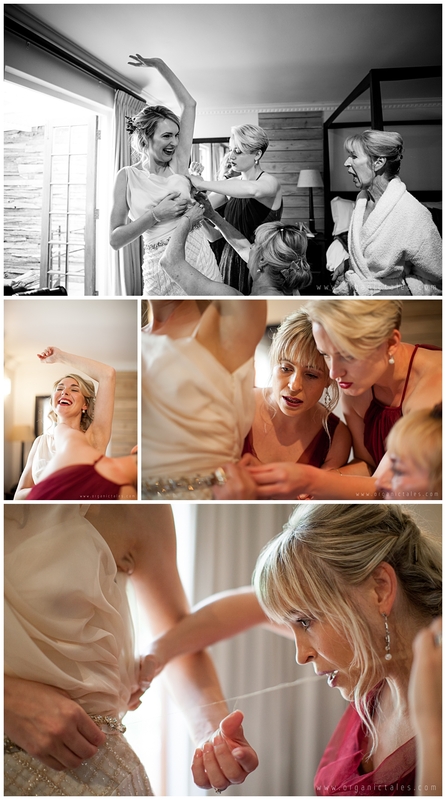 Anna found it rather difficult to find a reliable, young make-up artist in CT. After some disappointing experiences with other suppliers, she finally (and thankfully) met Derdre. Deirdre is an awesome talent who was super relaxed to help out in a last-minute situation. She exactly understood what Anna wanted and fulfilled her every wish. Anna called her ‘a brides dream’. She also did the mothers’ make-up and some of the other girls. After the makeup was done she joined the party and socialized while everyone finished getting dressed. We were getting ready, having champagne with the girls and when it came to the photo shoot, Derdre even assisted with one of the bridesmaid’s babies. She is an extremely caring, wonderful person. 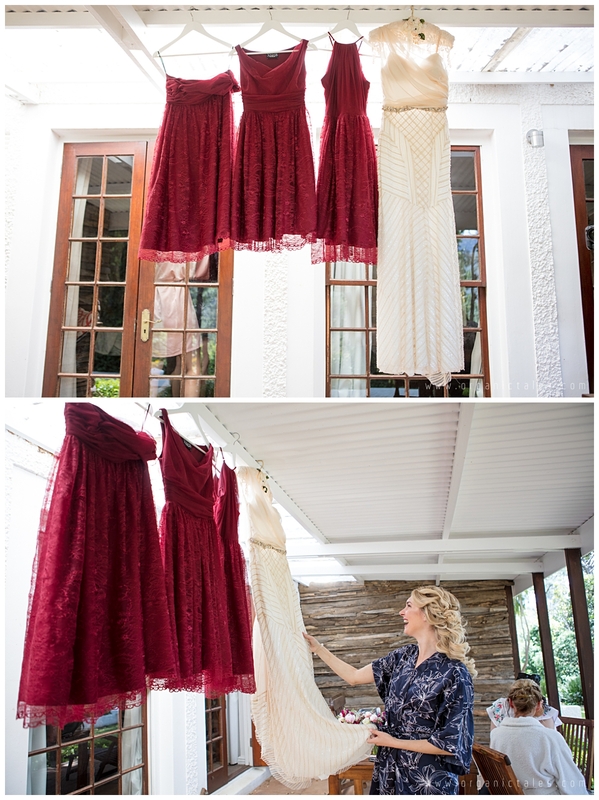 When Anna started looking for her wedding dress, her initial feeling was one of unhappiness with what the market in Cape Town with regards to bridal couture offered. That was however before she found Viktor K in Claremont. He exactly understood her style and taste. Anna didn’t necessarily want a typical wedding dress, and rather wanted an atypical wedding dress style – more of a red carpet kind of look. 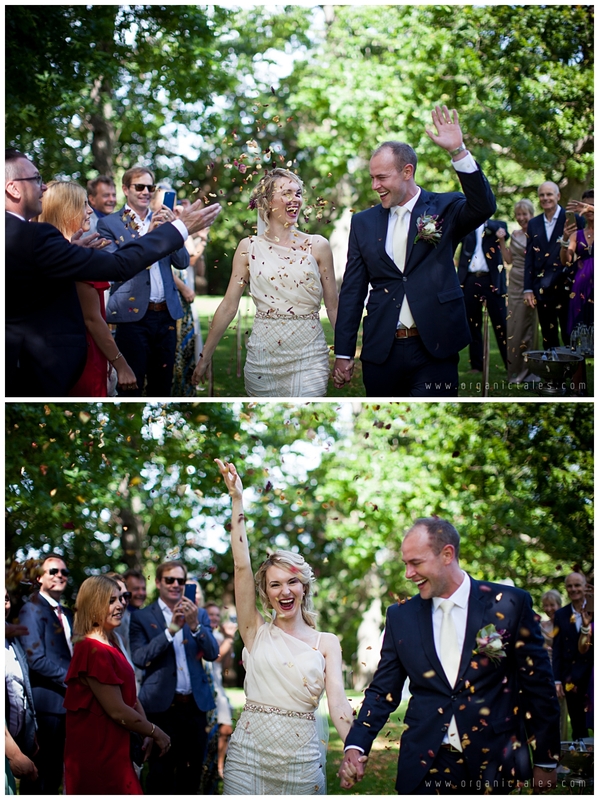 Viktor did a brilliant job by producing the most stunning wedding dress – everything was exactly what Anna had wanted and he provided huge amounts of support and professional advice. In the end Viktor K produced two dresses, a white one for the church wedding and another one for the Saturday reception. Viktor was truly amazing and comes highly recommended – and he really lived up to it, with the final outcome far better than what Anna could have wished for. 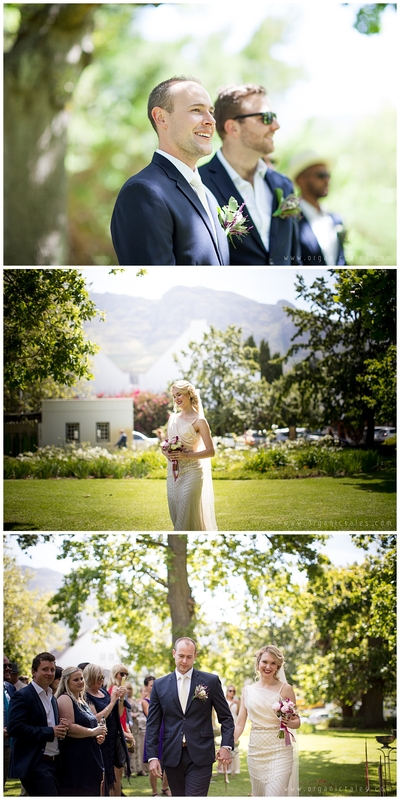 James and Anna found it very special walking down the aisle on the lawns of Buitenverwachting. 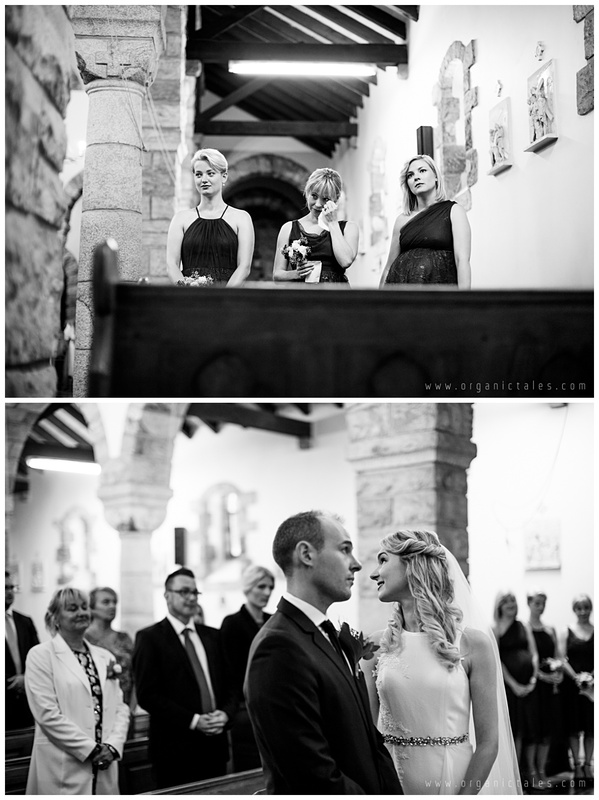 Anna walked in with her bridesmaids, while James was waiting at the start of the aisle. 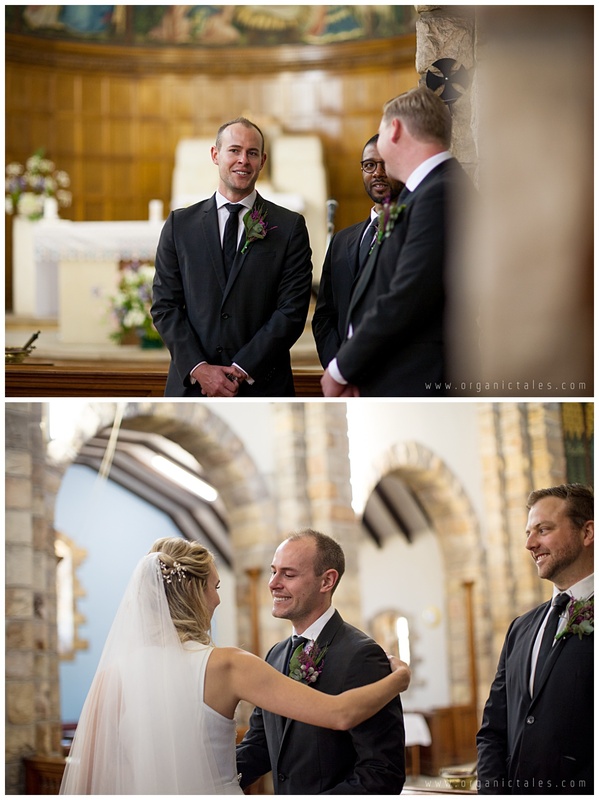 He took Anna’s hand and together they walked up to the priest. 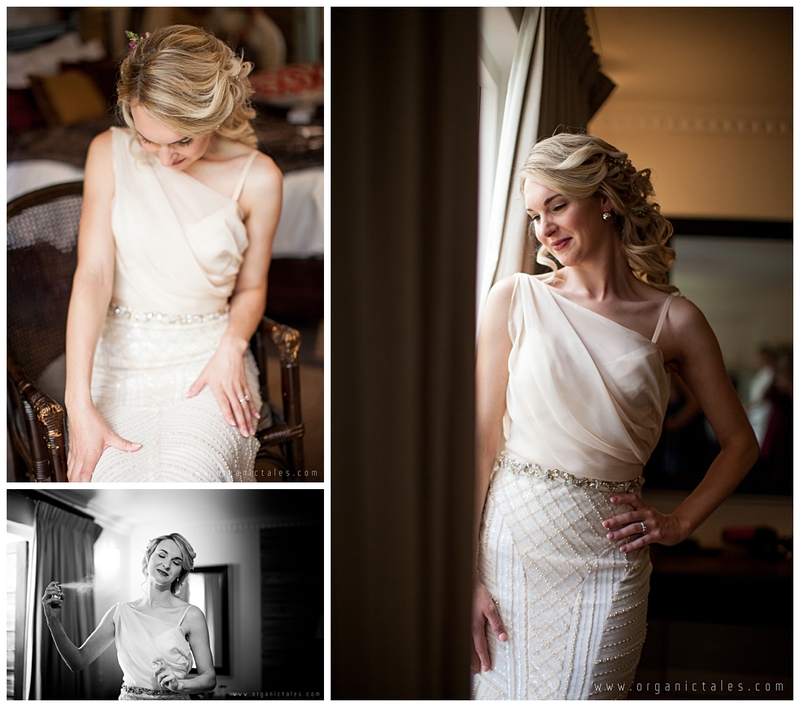 The guests were applauding once they saw Anna coming around in her dress. ‘Fields of gold’ from Sting was played by a Saxophonist and a double bass which really pushed the emotions up a notch. Our rings are produced by Rolf Werndle. Rolf is a jewellery designer and the owner of Duke & Dutch. 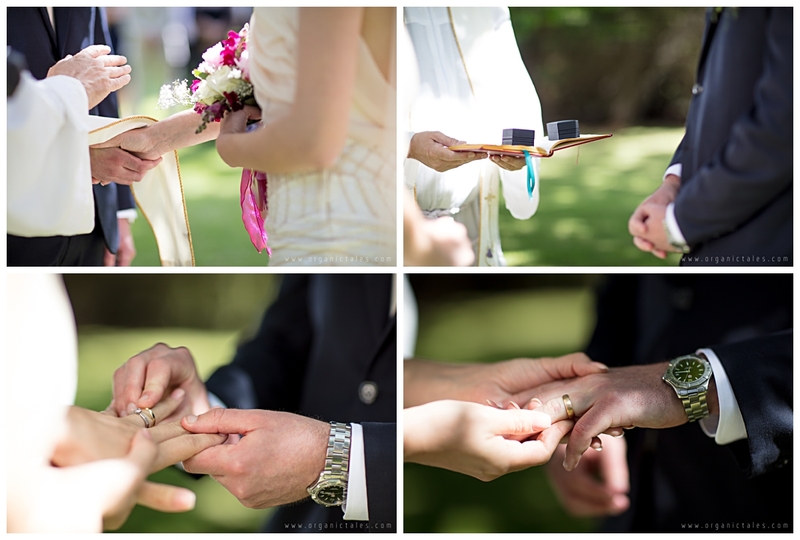 It is much more personal and exclusive to get your rings done individually. You can choose your exact style and source the right stones. Rolf is the most reliable, talented and professional jewellery designer a couple could wish for. He is highly recommended and he did a brilliant job. 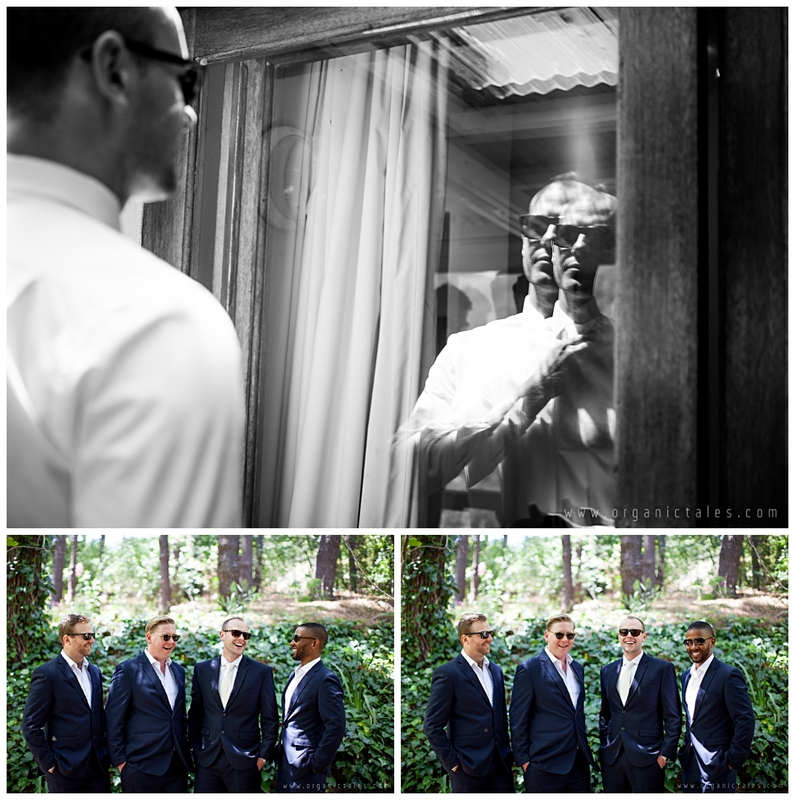 Our highlight of the wedding day was definitely our band Moonshine – a five piece vibe sensation led by Dan Shout. These guys are truly unbelievable and are guaranteed to get everyone in the right mood with their blend of jazz and 50’s rock’n’roll songs. 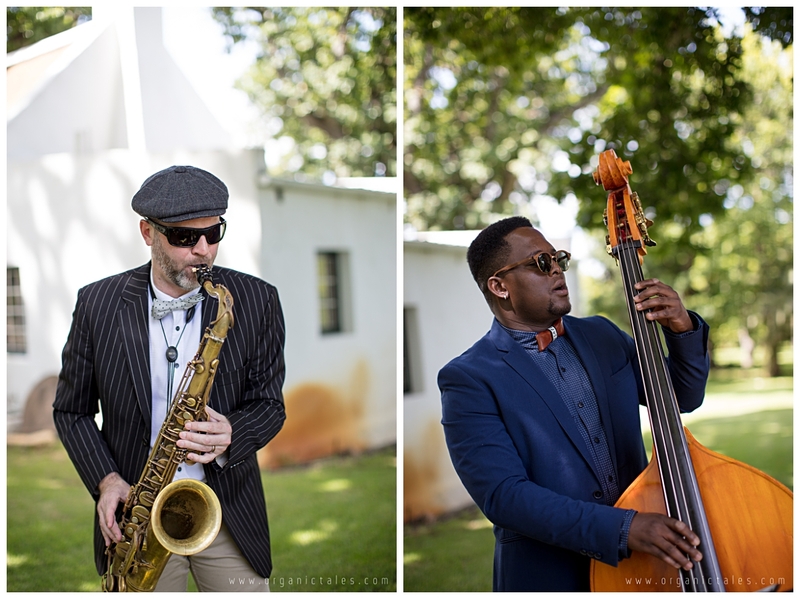 The first time we saw these guys play was at Barristers in Newlands on a Sunday afternoon – and even then, mid-afternoon they had the whole place dancing. 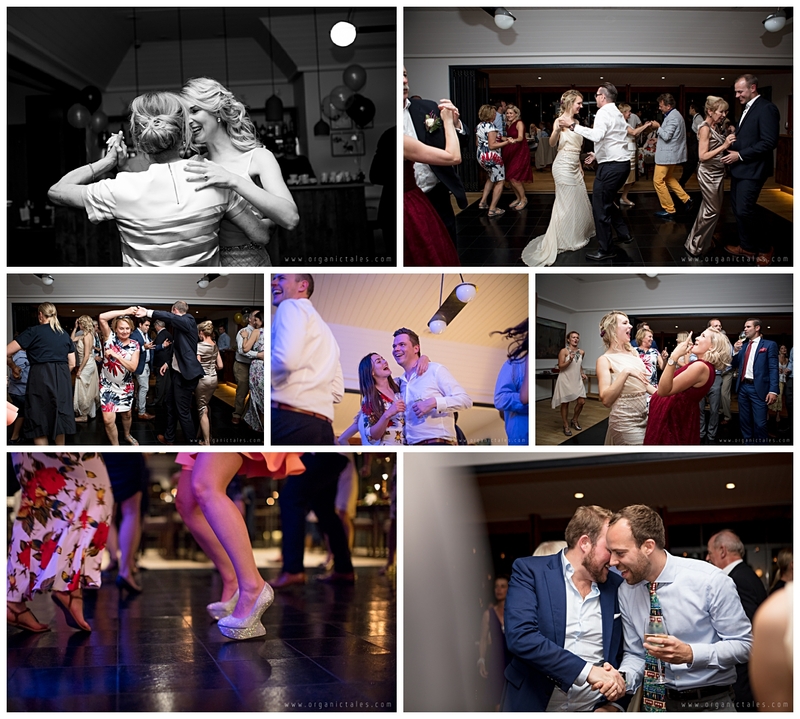 If you’re having people from different generations and different countries at your wedding, with 50’s rock and jazz, you want to make sure everybody will love the music. You will not find a more cool, talented and vibey band – guaranteed. 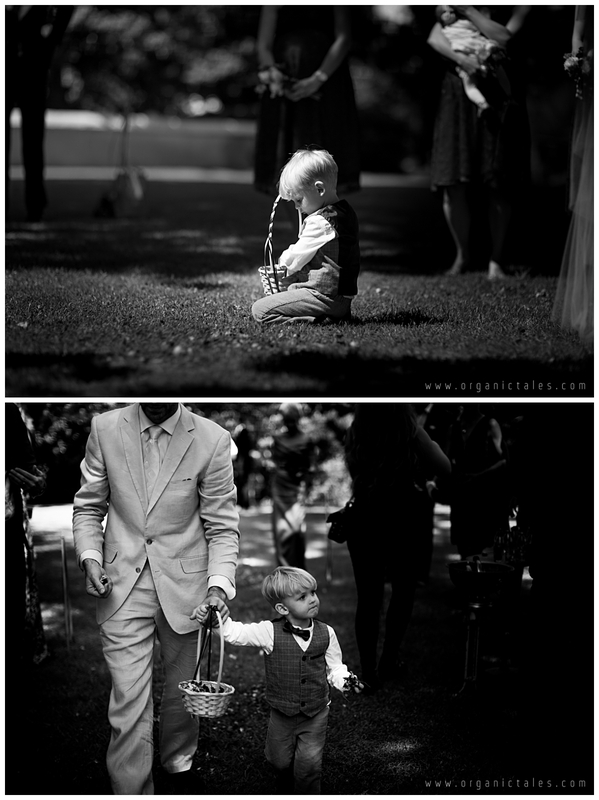 Not only that, Dan is so helpful and professional in ensuring everything sound-related for the wedding is a success. 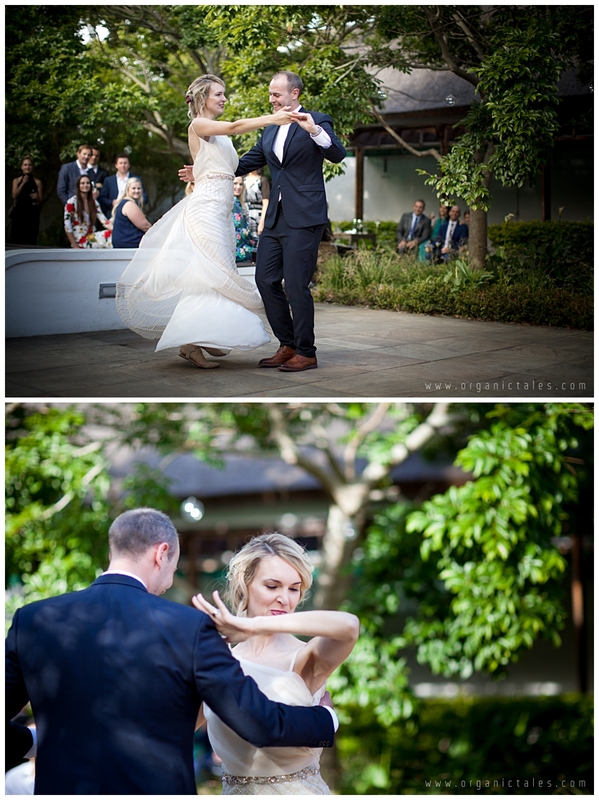 We opened the dance floor by having our first dance to their live music. 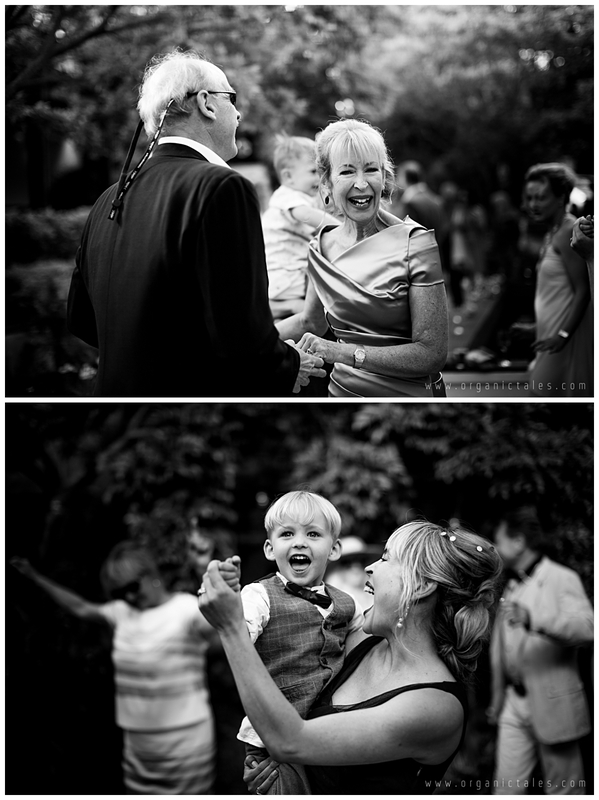 The family followed and so it happened that we were dancing outside in the courtyard, under the sky and we had the most amazing time. We got plenty of compliments for our band & hope that they got some more customers this evening. 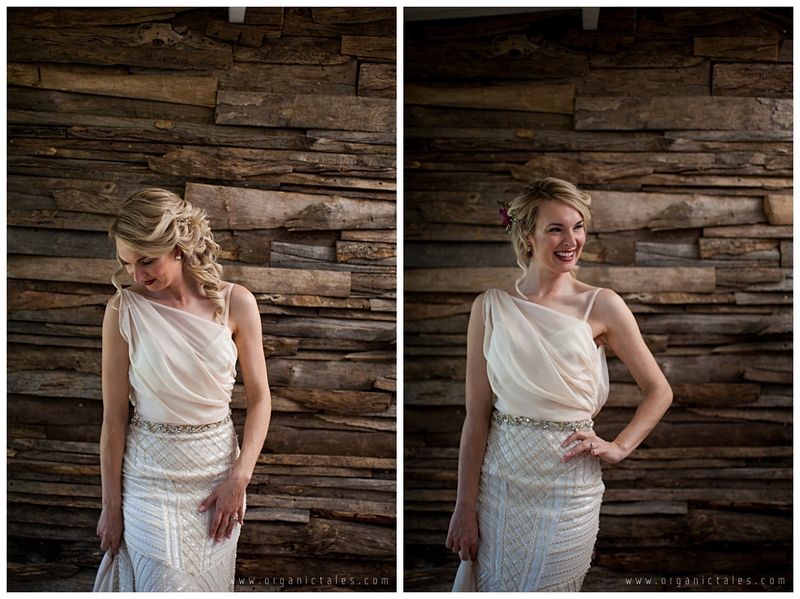 Landi Groenewald from Organictales was far and away the best service provider we could ever have wished for. 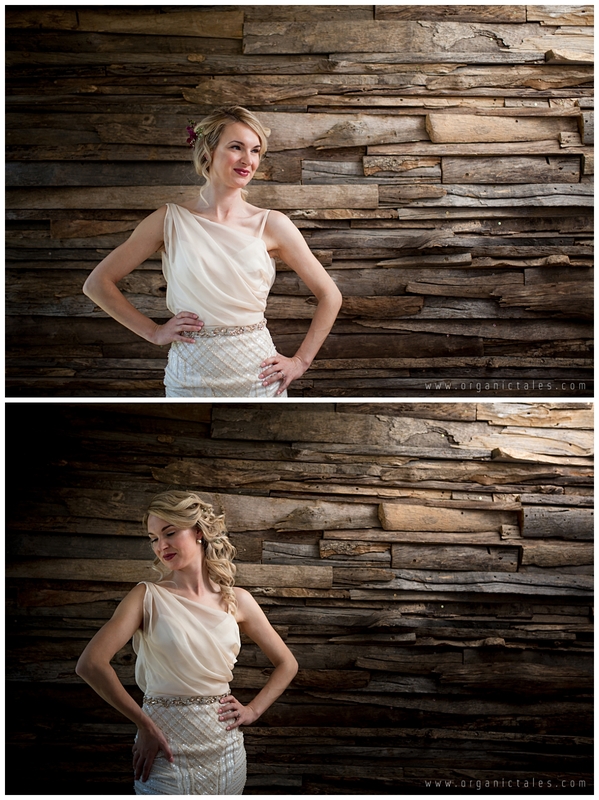 Anna saw her work for the first time in Viktor K’s studio, where she had done some of the bridal photography. 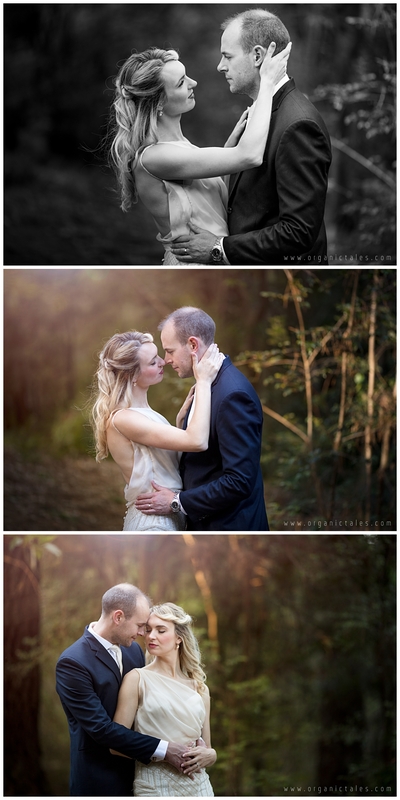 Anna immediately fell in love with her images. 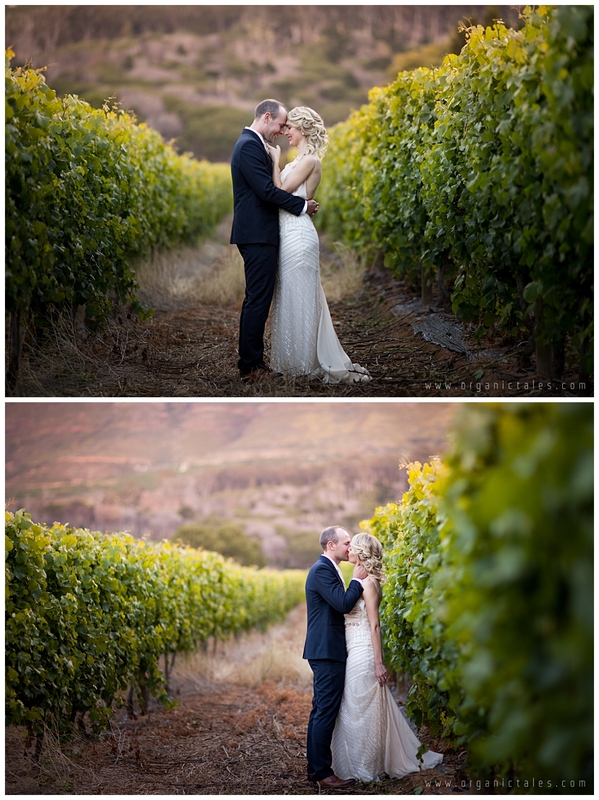 What we saw in Landi‘s images was not just someone who is able to capture the right moments, but someone who would really understand light and landscapes and furthermore not just a wedding photographer but a super talented artist. After contacting and meeting her, we discovered what a wonderful, caring, professional & ambitious young person she was. 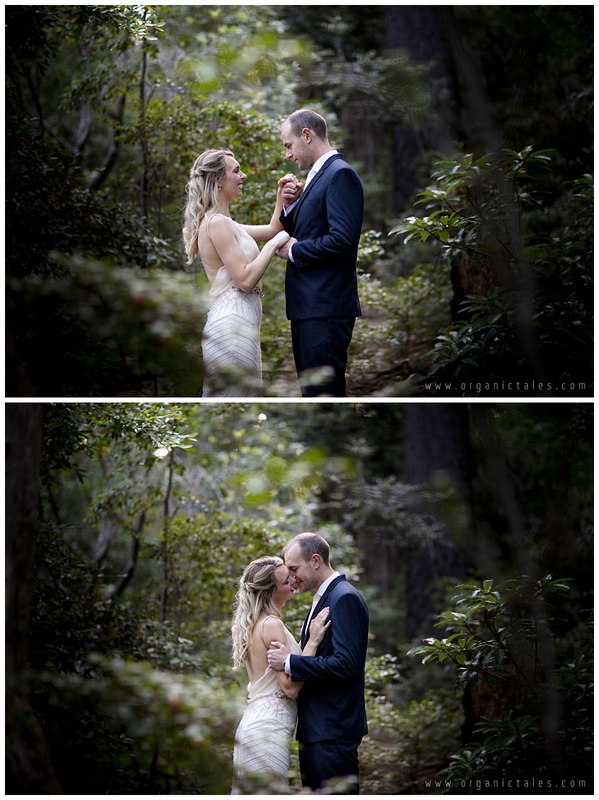 The market in Cape Town for wedding photographers is probably a rather big one, but after seeing Landi’s images and meeting her, it was the biggest wish to have her for the job. 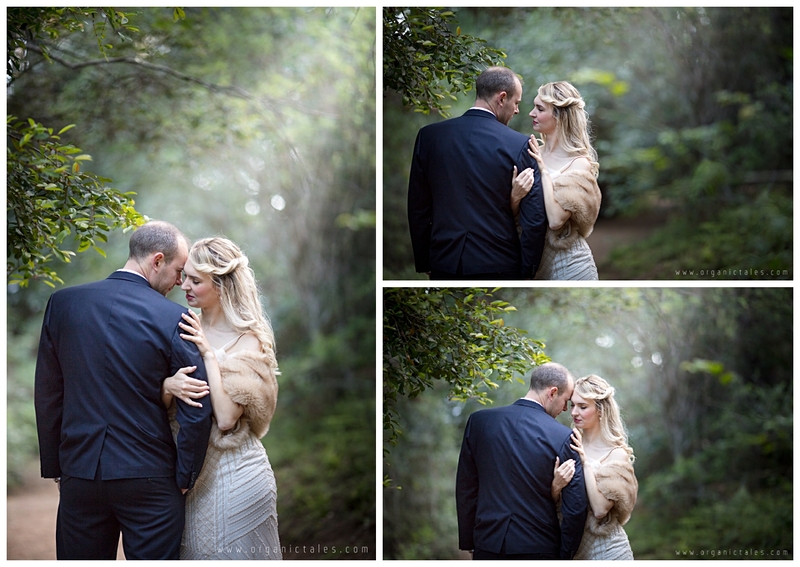 She did a beautiful engagement shoot for us in Kalk Bay and has been with us on our whole wedding weekend. We really cannot thank Landi enough and the entire journey would have been different had we not had her. Landi was able to help us with plenty of recommendations for other service providers and did so generously. As Anna is not from Cape Town it was a great help to find other excellent & ambitious suppliers. So it happened that we met our videographer, Johann Latsky, from Latsky Multimedia and Amo from ‘Amo Creative’, our coordinator for the day via Landi. 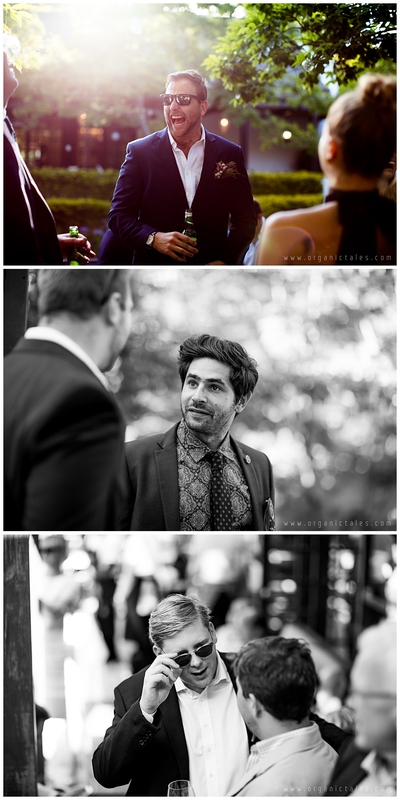 Exactly the kind of highly professional people a wedding couple wants to work with. 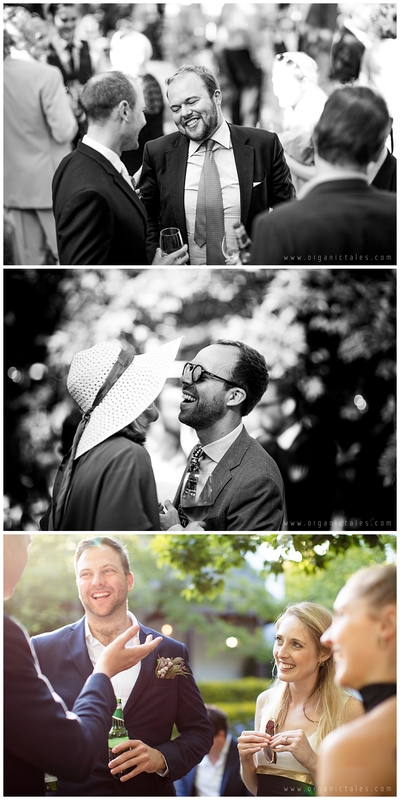 Johann does a lot of corporate and wedding videography and is clearly an expert in his field. 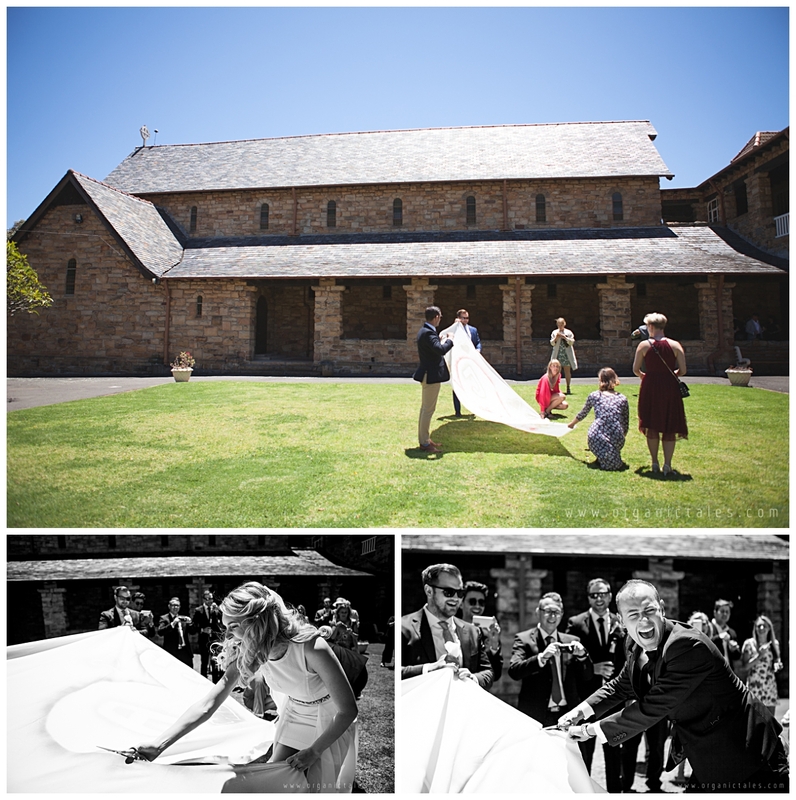 Amo, an event management talent, is a young & very ambitious person who makes a wedding day run smoothly. Both take their job very serious which is very important for someone who thinks in German standards. We knew that we were expecting plenty of guests from overseas. This is quite an intense project if you plan a wedding for so many foreign people and having more than just one day & location. Anyways, Anna didn’t want to book a wedding planner because she wanted to find & meet every supplier on her own. We do not believe in packages that are being offered to you. 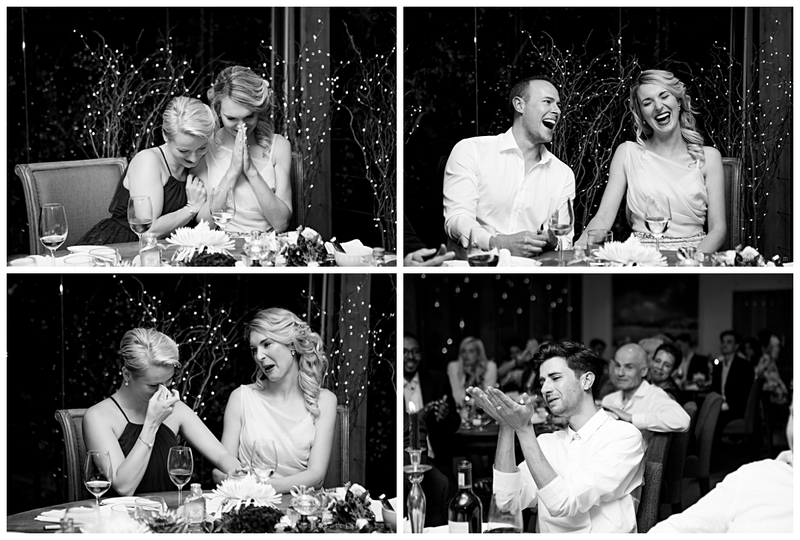 Every wedding should be as individual as the couple is. 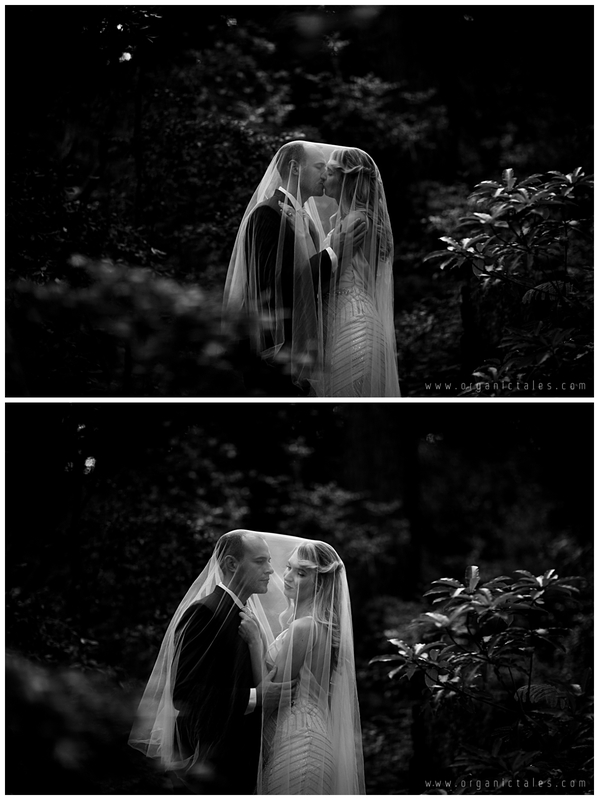 If you want to avoid any disappointment, it makes sense to invest some time into your own wedding research. And the guests feel it and this creates a big vibe in the end. 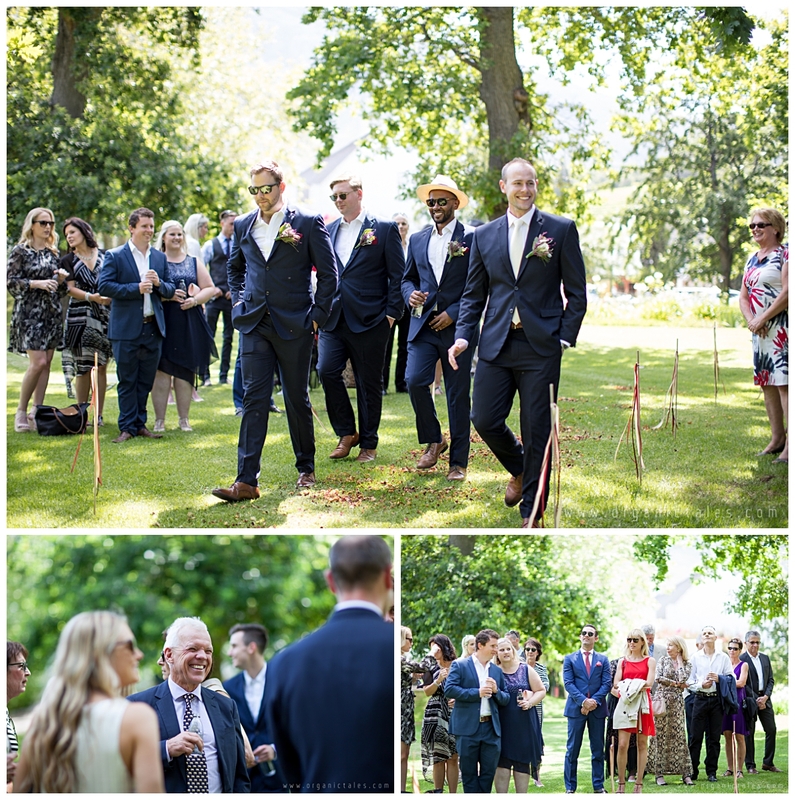 We have been extremely happy all around, we have been blessed with our very good friends in helping in quite some tasks and we wouldn’t change anything about the wedding. We think it’s important for a couple to simply do what the both are dreaming of.